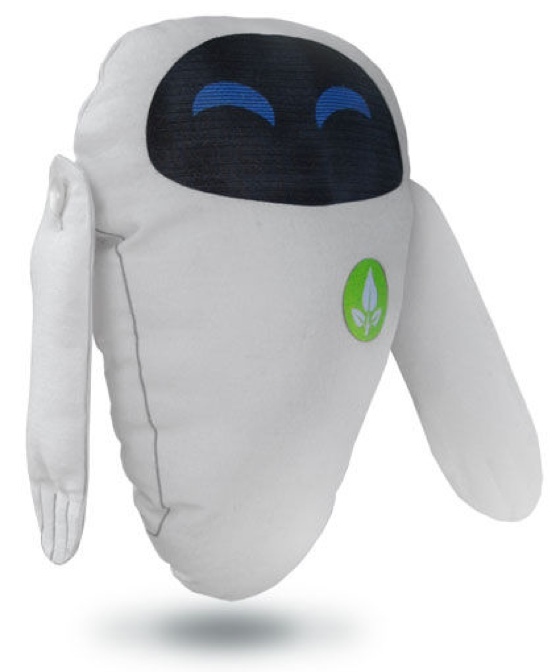 For fans of the movie Wall-E (myself included), this EVE plush looks like a super simple way to have a piece of the movie come to life. Ok, well not to life, but at least out of the big screen and into your home. I can just picture it saying ‘Directive?’ now. If you’ve fallen in love with the film WALL-E but making a WALL-E robot is too complicated for you, why not make a soft toy EVE, it’s actually really easy and my kids loved it (and they’re all boys). EVE (Extra-terrestrial Vegetation Evaluator) is the gorgeous, iPod like super advanced robot that comes to Earth 700 years after humans have left it so that it could be tidied up by robots like WALL-E. This model can be made very simply with no arms or with arms if you fancy making a couple of button holes and sewing on some buttons.